Life to Eagle is a program developed by the adult leadership of Troop 642 to help you prepare for earning the Eagle rank. 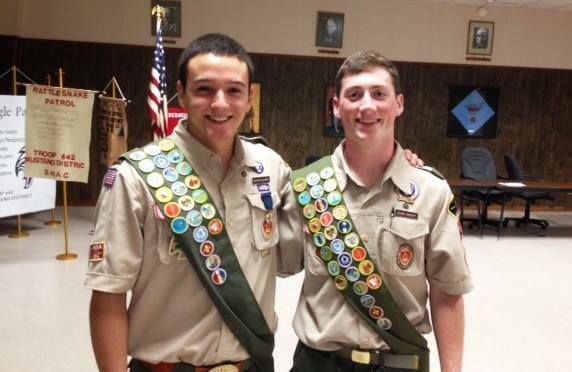 Twice a year, at the beginning of each school semester, a one-night meeting is held to review all the expectations of the Life Scout and give an overview of the process leading up to earning the Eagle rank. Please check the calendar for the two meetings planned. The following Flight of Eagles is a list of all the Scouts who have earned the rank of Eagle at Troop 642. 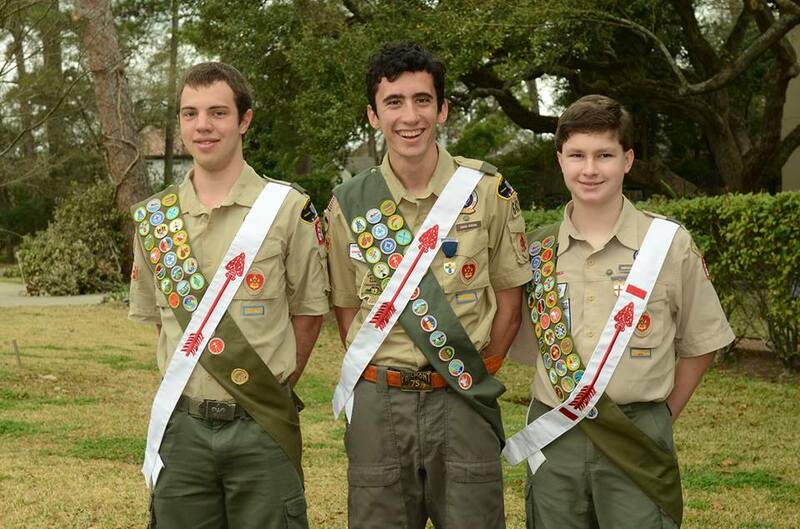 Troop 642 has over 570 Boy Scouts that have achieved the rank. Mr. Cain, our current Scoutmaster, received his Eagle in 1980 from Troop 642. Historically, only 2-3% of all boys who enter the Boy Scouts achieve Eagle. The National Eagle Scout Association holds the interests of Eagle Scouts, upholds the dignity of the Eagle Award, and provides a base for continuing leadership in the Scouting movement. Visit their site for a wealth of information concerning obtaining your Eagle badge. Below are links that outline and describe the various aspects (requirements, merit badges, projects, applications, etc) of the road to Eagle.